The Ranch is a very unique shopping and fine dining center. 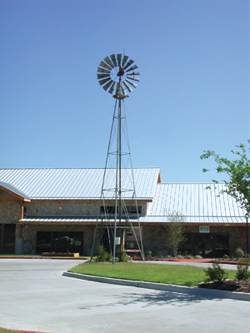 The buildings were designed to have the look and feel of a beautiful Texas Ranch. There are three separate buildings in the first phase of the development and another three or four buildings in phases two and three. It is truly a great destination to come shop in specialty stores or dine at two of the best restaurants south of Dallas. There's always something going on at the Ranch at Cedar Hill.